The kata that bursts forth from within you should be as random as possible based upon your needs at the time. 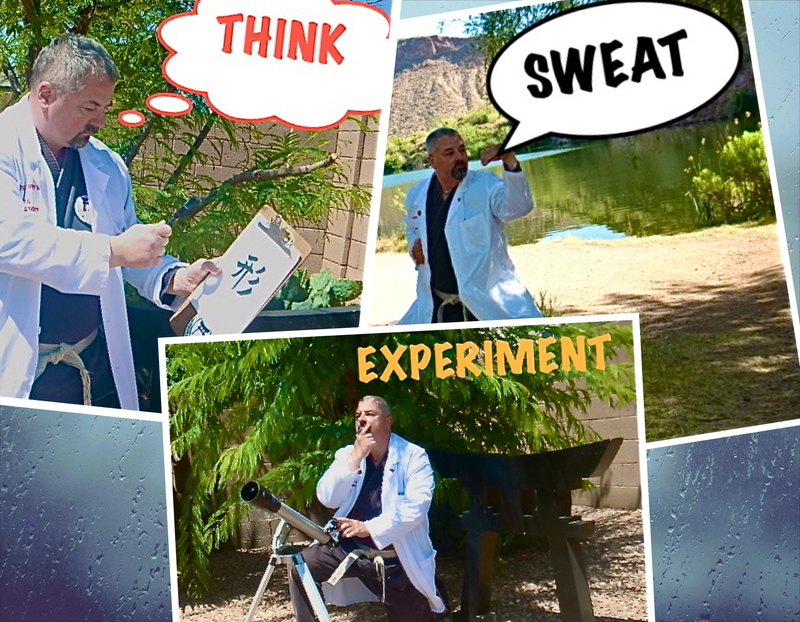 This Kata Lab is based on an episode of one of my favorite television shows, “Through The Wormhole With Morgan Freeman.” The specific episode was entitled “Mysteries Of The Subconscious.” It featured an experiment devised by Dr. Alan Snyder of the Center For The Mind in Sydney, Australia. The experiment looked to test a method of altering the brain’s perceptions (See Endnote # 1 for details of the experiment). It occurred to me that Dr. Snyder’s experiment can be it can be used to test my theory that kata can be used to alter brain perception. (See Endnote # 2) There have been studies as to enhanced brain function resulting from zazen (seated mediation) and prayer, most notably the experiments of Dr. Andrew Newberg, M.D. (See Endnote # 3) My idea that kata, like prayer can stimulate specific areas of the brain is by far no “leap of faith.” I have previously submitted the idea that kata is the functional equivalent of the Apostle Matthew’s “inner room.” (See Endnote # 4) Not withstanding the effects of kata as analogous to prayer, no experimentation has been done as to kata and enhanced brain function. Dr. Synder’s experiment offers a means to test this enhanced brain function as it relates to kata. As in Dr. Snyder’s experiment, there are a series of puzzles which you are to solve. Each puzzle is written in matchsticks using roman numerals and depicts an incorrect mathematical equation. You are to move the position of ONE matchstick to correct the equation. For example, the first puzzle, as written is 1 + 3 = 9. You must move any one matchstick to correct the equation. Most of you can solve the first three puzzles. Many of you will have experienced difficulty in solving the final puzzle; in fact, many will not be able to solve the puzzle at all. This is because the final puzzle requires the use of the creative areas of your brain. Kata will be used to stimulate specific areas of your brain. After stimulation, you should then be able to correctly solve the puzzles. It must be remembered that the fuel of the brain is oxygen; in order to function properly and efficiently, the body needs to maximize the exchange of oxygen to the brain. Thus while my theory applies to any karate-do kata, it is more evident when kata based upon deep abdominal breathing and bodily movement are performed. 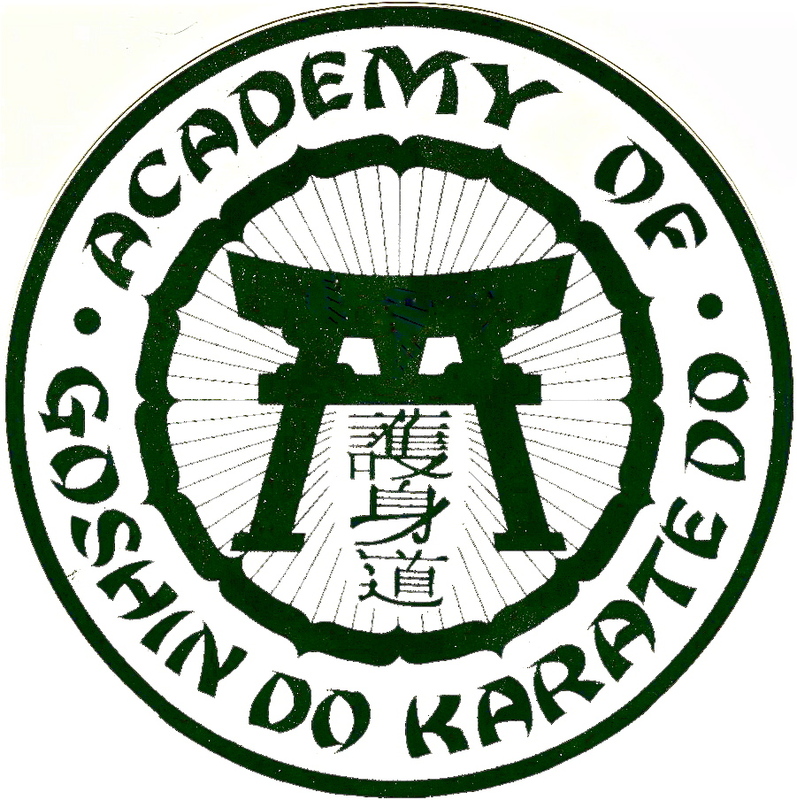 To this end, certain kata derived from Goju-ryu, Pang-Noon-Gai-ryu or Uechi-Ryu are preferred. My personal favorite (in general terms) is what I call my “Sacred Trinity” Kata; performing Sanchin, Seienchin and Suparunpei Kata as one kata. More than one kata-problem solving session may be required to achieve success. Do not give up if your first attempt does not result in success. Solutions to the puzzle are posted in Endnote # 5. 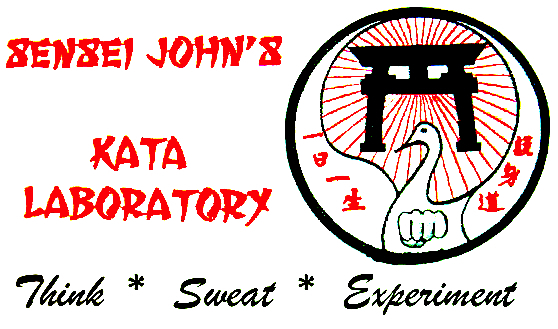 This Kata Lab is but one of many gateways to start to explore how kata can alter your brain’s perception and empirically test same. It is intentionally submitted in general terms to stimulate your own self-exploration of kata. 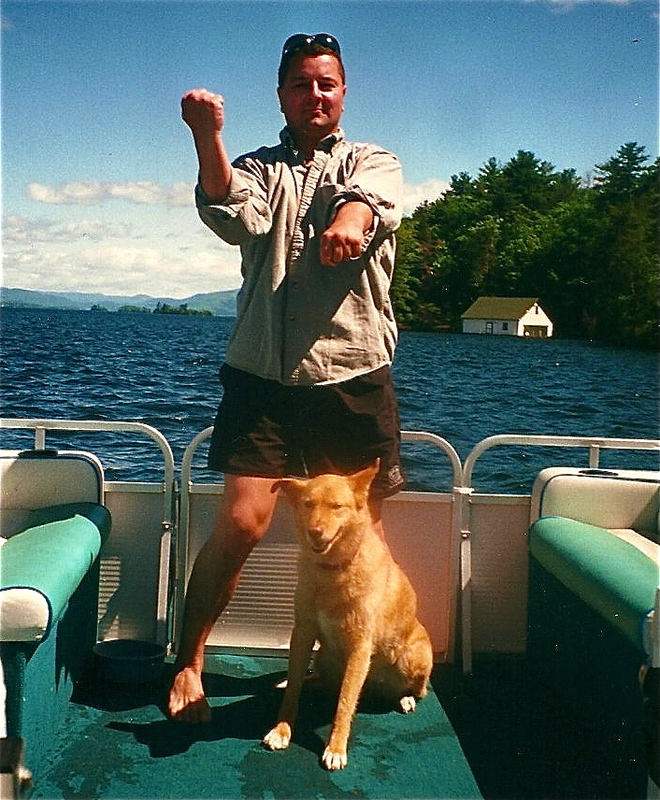 Realizing that that is a formidable task, I have set forth my own specific kata regime to alter perception in great detail in Kata Lab # 4270 – A Kata Riddle. 1. The experiment required a subject to solve a series of mathematical puzzles. The first few puzzles required the subject to make use of the analytical areas of their brain. These puzzles were solved with relative ease. The solution to the next series of puzzles required the subject to use the creative area of their brains. These puzzles presented difficulty, which, more often than not, resulted in the puzzles being unsolved. Dr. Snyder then stimulated the brain’s creative areas with electrical impulses and the subjects were able to solve the puzzles. 3. You are wholeheartedly encouraged to read Dr. Newberg’s experiments, findings and conclusions contained in his book: Newberg, Andrew, M.D., D’Aquill, Eugene, M.D., Ph.D. And Rause, Vince, Why God Won’t Go Away: Brain Science & The Biology Of Belief (Ballantine Book, New York, NY 2001). 4. “When you pray, you are not to be like the hypocrites, for they love to stand and pray in the synagogues and on the street corners so that they may be seen by men.” . . . “But you, when you pray, go into your inner room, close your door and pray. . .” Matthew 6:5-6 (Emphasis added). You should perform your random Sanchin Kata with a partner observing. The partner must verify that all the movements were performed in the correct stance and the all movements are accounted for (for example, 3 right sanchin stances, 3 left sanchin stances, 2 mawaski-uke with tora-zuki, and the like). If you do not have a partner, you should record video of the performance. You can then watch the video to verify all movements were performed. Once you achieve success, try performing the movements of Tensho Kata in random order. 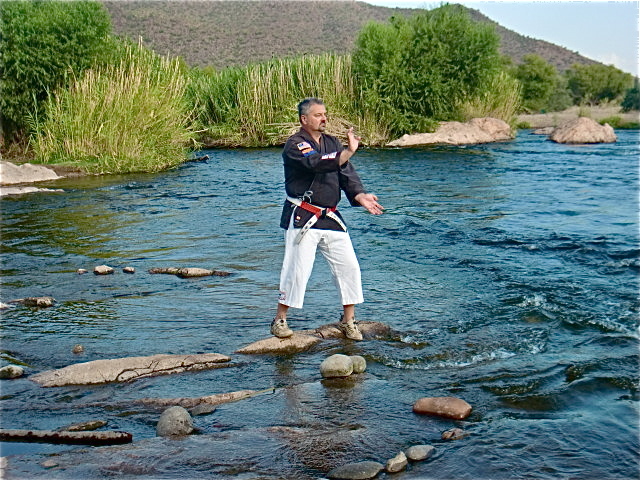 For your consideration, I have prepared the following video of one example of Random Sanchin Kata, filmed in the spectacular Lower Salt River canyon, Arizona. 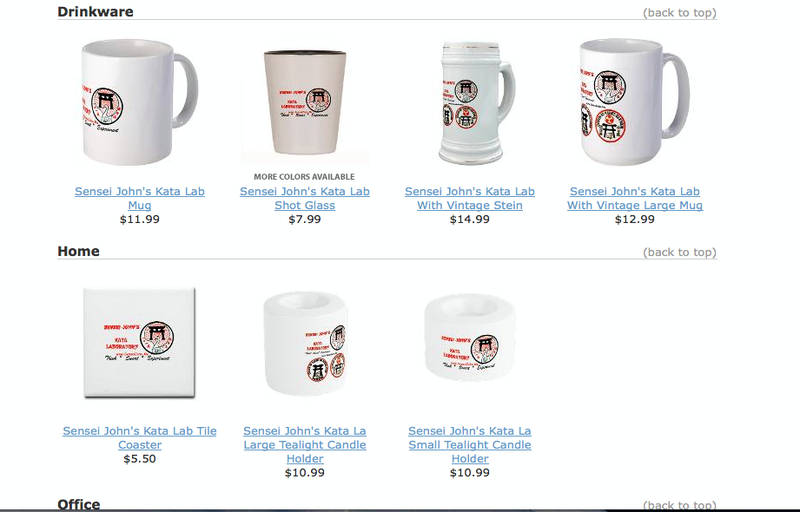 In the Reverse Sanchin Kata Lab, I asked you to keep the following points in mind. 1. The movements of reverse Sanchin are calculated or intentional. 2. Even though the movements are performed in reverse order, the breathing pattern is exactly the same, to wit: a step & single move, a step and single move a step and a triple move, a step and a triple move, a step and a single move and a step and a single move. 3. Given the above, of the three battles of Sanchin (Physical, Spiritual and Environmental battles) only the Physical aspect of the kata is changed in reverse Sanchin. Now, compare each point of reverse Sanchin to the random version of Sanchin. 1. 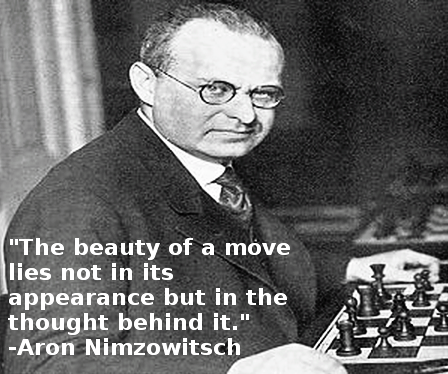 The movements of random Sanchin are (and must be) utterly spontaneous. 2. As the movements are random, the breathing pattern varies with each random performance. 3. Given the above, both the physical and spiritual battles of Sanchin are affected. 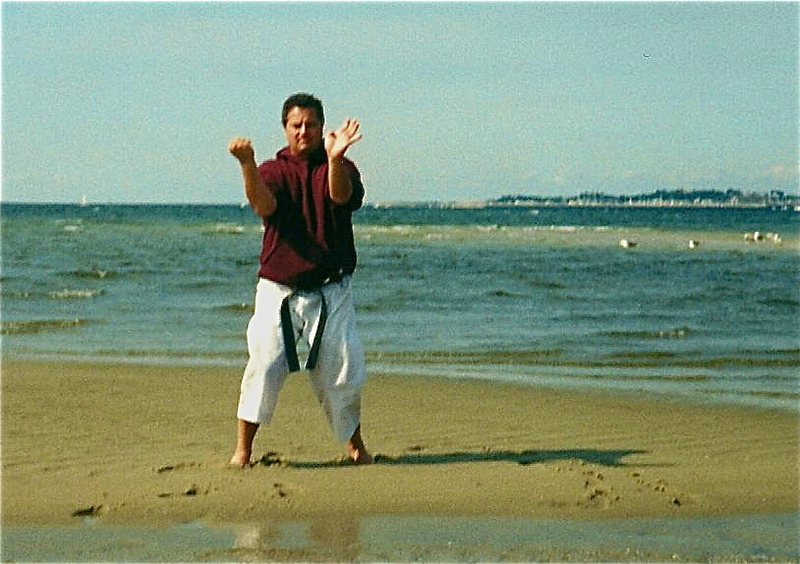 With increased development of the random Sanchin Kata, you will also affect the metaphysical battle. For those needed a refresher on my definition of the three battles of Sanchin, please see Endnote # 1. 4. Deeply reflect on the concept that although the movements were performed in random order, you can find a pattern hidden within your random Sanchin. For example, though unplanned on my part, the pattern hidden with my video taped performance is 1-3-1-1-3-1. 5. In the future, you can elongate the random Sanchin kata by stepping on each triple move. So, in lieu of remaining in a right sanchin stance for the three punches, you can perform each punch using a separate step BUT ALWAYS in a right sanchin stance. 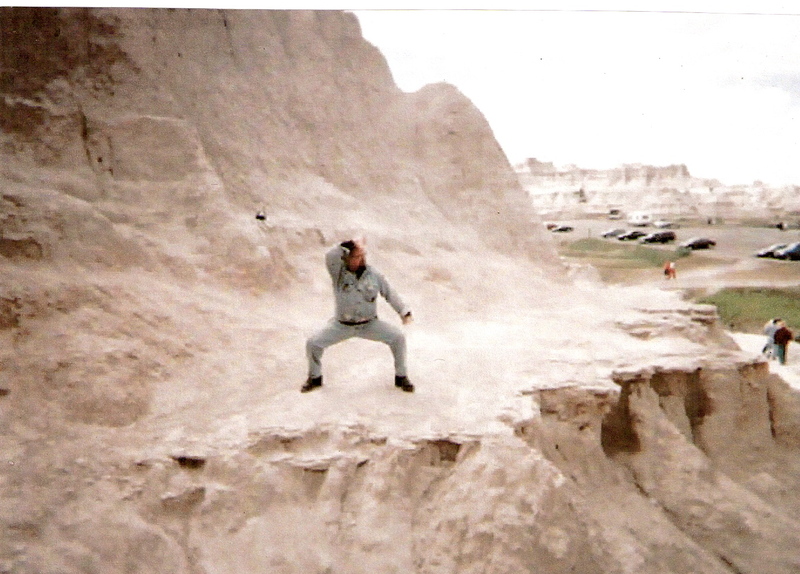 The 3 ridge-hand strikes performed in a left sanchin stances must be performed as separate steps to balance the kata. Notice that the intricacy of any hidden pattern is reduced, exempli gratia (e.g): 1-1-1-1-1-1-1-1-1-1. Once again, you get from Sanchin (and every other kata) exactly what you put into it. If you consciously (or unconsciously) put in boredom, stagnation and dullness, that is what you will receive in return. 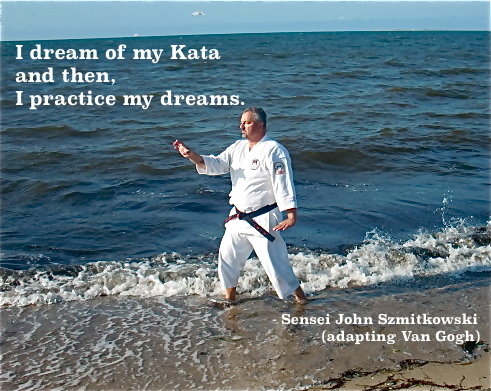 You set your kata boundaries and must live within them. 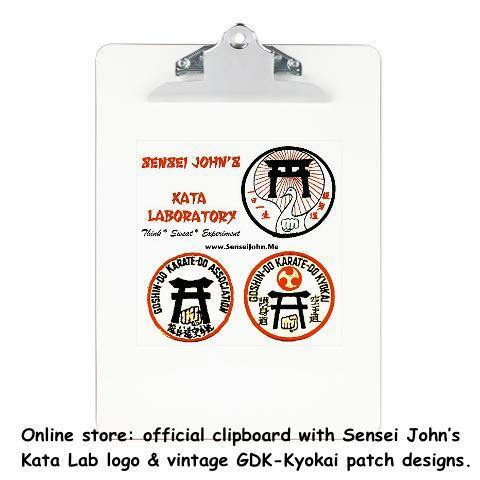 If you are bored wit Sanchin and other kata, blame yourself. Period. If you look at your kata with a wide open imagination, innovation and a pure spirit, you will always find more and more below the surface. Metaphysical Battle, the manner in which Sanchin connects you with your external environment and how same affects you.